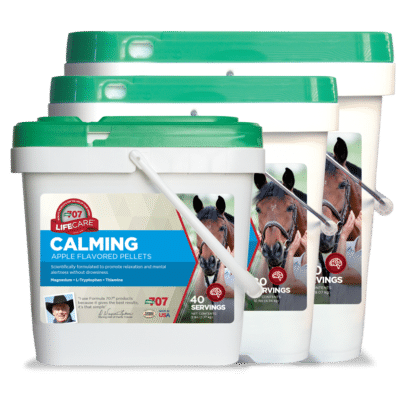 Help nervous, excitable horses relax and improve their ability to concentrate on work and training. COMPLETE support for the three processes that lead to a balanced central nervous system: serotonin, nutrition, and relaxation. L-Tryptophan aids serotonin delivery and can decrease anxiety. Thiamine (B1) addresses nutritional deficiencies and metabolic processes. Magnesium supports calm, relaxed muscles.